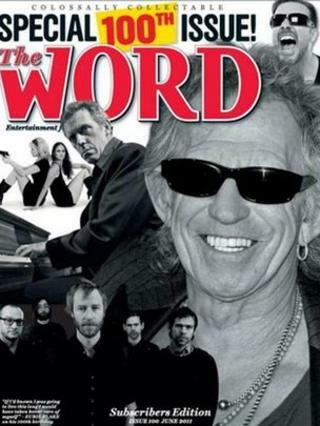 Music magazine The Word is to close in July, after nine years on news stands. Writing on the magazine's website , editor David Hepworth blamed "dramatic changes in the media and the music business" for the closure. "These changes have made it more difficult for a small independent magazine to survive and provide its staff with a living," he said. The next issue, due in July, will be the last. All seven full-time staff will be made redundant. According to the Guardian , the most recent circulation figures for The Word, covering the last six months of 2010, showed that its readership had dropped by 5.7% year on year to 25,048. Set up in 2003, the magazine took a high-brow look at music and culture whilst trying not to sound stuffy or pretentious. Its tone was established by co-founders Hepworth and Mark Ellen, who had previously worked in a variety of roles at magazines like Q, Smash Hits and Empire. Cover stars tended to be rock royalty like David Bowie, Paul McCartney, Ray Davies and Nick Cave or, as the magazine suggested in its 100th issue, "men with beards". Memorable interviewees included Sir Elton John, who ranted about the lack of talent in the music industry, saying: "99% of the other Herberts out there can't sing a note". Singer Lily Allen landed in hot water after making forthright claims about drug use in a 2009 profile piece. "I know lots of people who take cocaine three nights a week and get up and go to work. But we never hear that side of the story," she said. "I wish people wouldn't sensationalise it. Some people are just bad at taking drugs." The magazine itself got into trouble in 2008, after publishing derogatory comments about Morrissey. It later apologised in court . Announcing the closure, Hepworth thanked staff members "past and present" and "you, the readers". He added: "When we came up with that slogan - 'The Word - a magazine, a website, a podcast, a way of life' - we were being a bit tongue-in-cheek. But it was, wasn't it?" Readers and contributors expressed their disappointment at the title's closure on Twitter. "Other than the BBC shutting down I cannot think of lousier media news," wrote Danny Baker , who had written several columns for the magazine. Broadcaster Simon Mayo added : "The thing about the end of @TheWordMagazine is that I won't replace it with anything. There isn't anything else that is close to it." The final issue will include interviews with Lou Reed, Robert Smith, Martin Amis and Mick Jagger.